Last edited by SilentThunder; 08-28-2014 at 06:44 AM. Will these pass smog with the cat delete? I put about 50 miles on the headers and cat deletes so they are like new with the start of minimal tempering of the stainless on the headers. Good fitment with no issues. Headers will need a 1/16 pilot hole patched that was intended for O2 sensors. These really woke up the engine and sounded great. Here is your chance to get brand name headers at an affordable price. Stock headers with cat delete will pass smog. 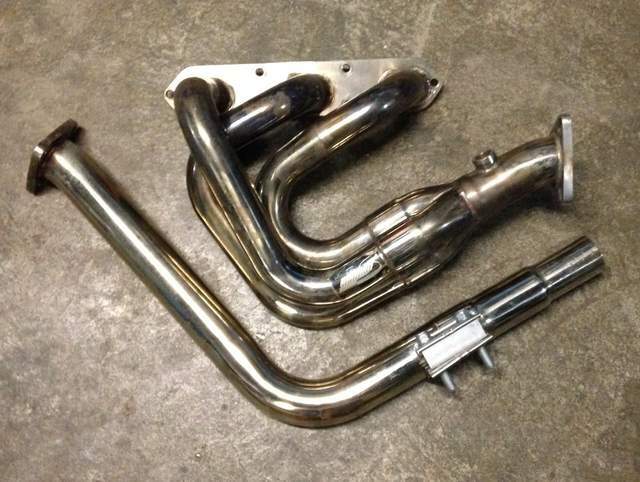 Race headers with 2nd cats will pass smog. Last edited by SilentThunder; 08-28-2014 at 06:45 AM. Mid pipes with hardware still available. How much for the mid pipes?